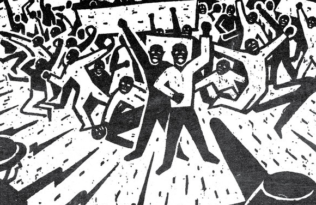 To celebrate Martin Luther King Day on Monday, January 19, Tenisha Hart Armstrong, Volume VII editor of The Papers of Martin Luther King, Jr., curated a special selection of relevant photographs and a video that draw upon the rich resources of The Martin Luther King, Jr., Research and Education Institute. 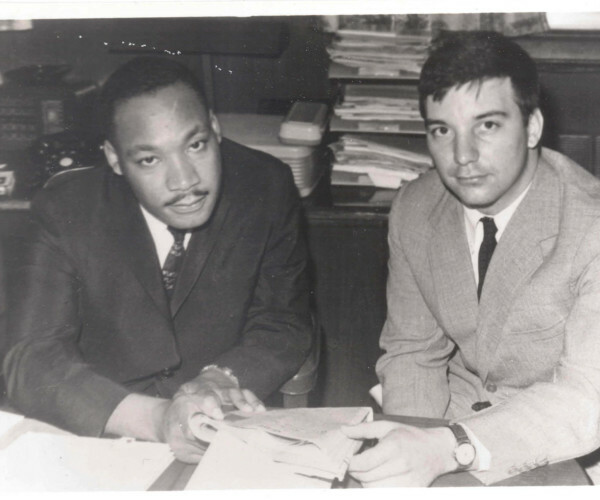 In his office at Ebenezer Baptist Church, King meets with Gurdon Brewster, an intern at the church during the summer of 1961. Courtesy of Gurdon Brewster. 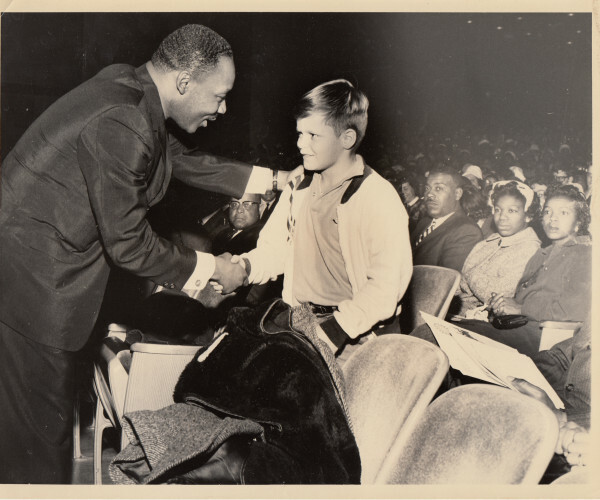 On a 27 March 1962 stop in Lynchburg, Virginia, during the Southern Christian Leadership Conference's People to People tour, King thanked eleven-year-old Chuck Moran, who was the first to volunteer for SCLC's voter registration and direct action campaigns. Courtesy of Wyatt Tee Walker. 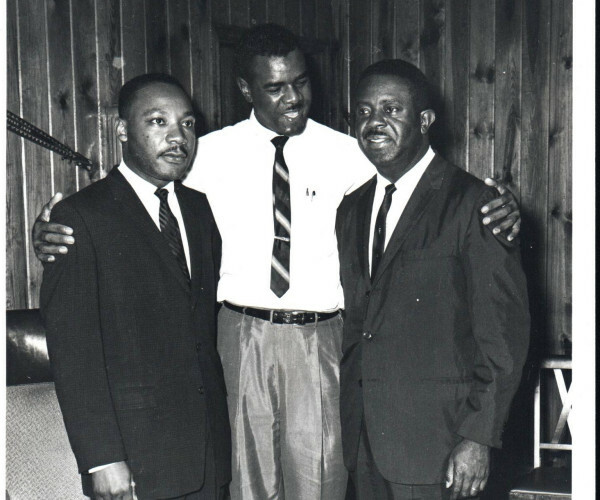 At his home in Albany, William G. Anderson poses with King and Ralph Abernathy on 12 July 1962. Courtesy of William G. Anderson. Following his release from the Albany jail on 10 August 1962, King attends a mass meeting at Mt. Zion Baptist Church. 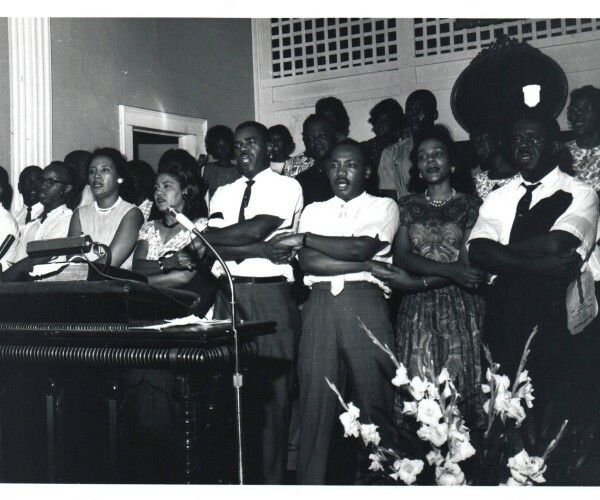 From left to right: Slater King, Charles Sherrod, Norma L. Anderson, Lois Steele, William G. Anderson, King, Coretta Scott King, and Ralph Abernathy. Courtesy of William G. Anderson. 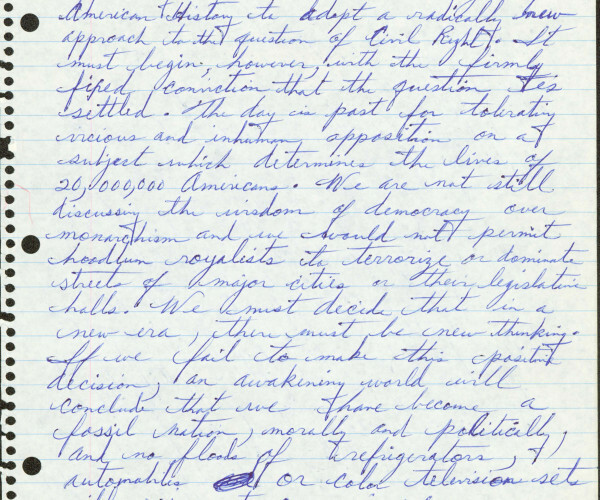 In a handwritten draft of his article “Equality Now: The President Has the Power,“ written for publication in The Nation, King implores the federal government to take action on civil rights through legislative pressure, moral persuasion, and executive order. Courtesy of the Howard Gotlieb Archival Research Center, Boston University. 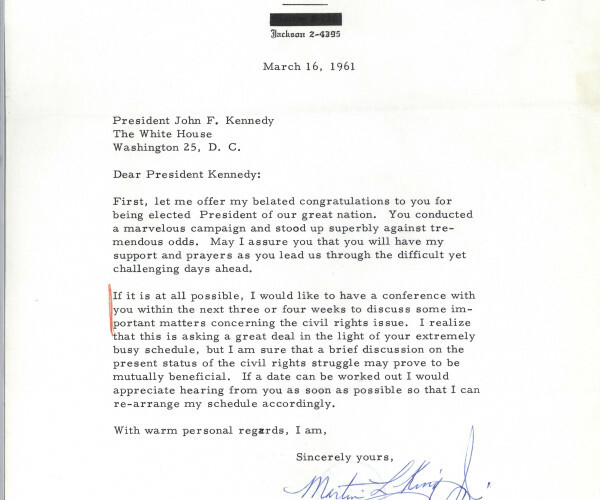 King congratulates John F. Kennedy on his election and requests a conference with him to talk over civil rights issues. Courtesy of the John F. Kennedy Presidential Library. Following their 16 December 1961 arrest in Albany, Georgia, King, Ralph Abernathy, and William G. Anderson are transferred to Sumter County Jail in Americus. 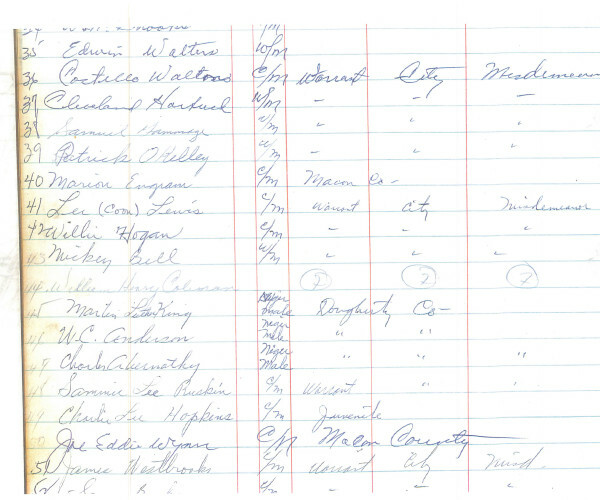 On this jail ledger, King is listed as number forty-five and is referred to as a “[Niger?] 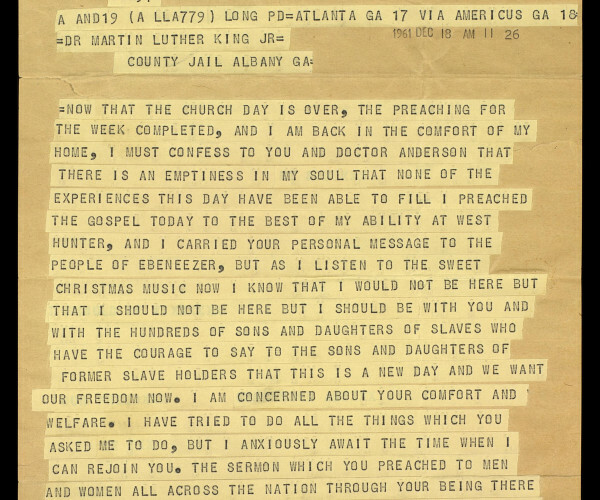 male.” Reprinted with the permission of the Sumter County Clerk of the Court’s Office, Americus, Ga.
After posting bail following his 16 December 1961 arrest, Ralph Abernathy sends the following telegram to King, who is in jail in Americus, Georgia. Courtesy of the Atlanta University Center, Robert W. Woodruff Library Archives and Special Collections. 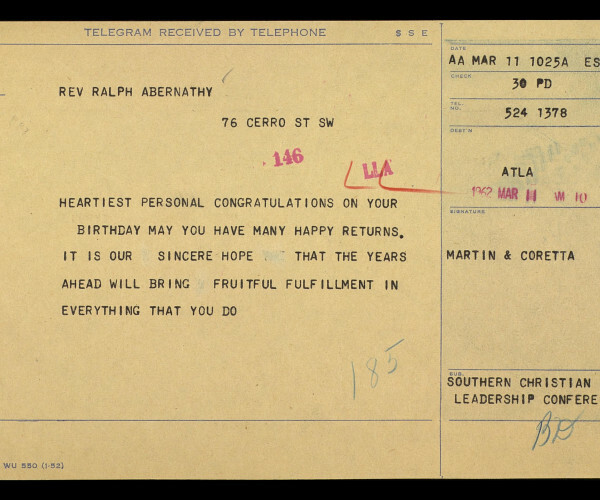 King and his wife, Coretta, wish Ralph Abernathy a happy thirty-sixth birthday. Courtesy of the Atlanta University Center, Robert W. Woodruff Library Archives and Special Collections. King maintained a diary while jailed in Albany, Georgia. 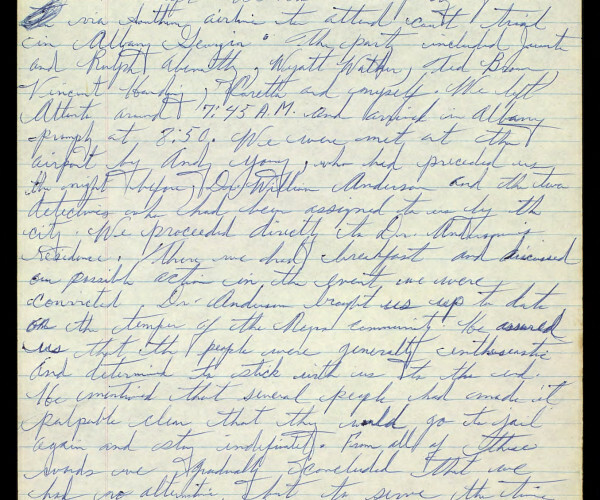 These pages, from 10 July–11 July 1962, detail the jail conditions and express his commitment to remain in jail for the duration of his forty-five day sentence. Courtesy of the Atlanta University Center, Robert W. Woodruff Library Archives and Special Collections. The publication in October 2014 of Volume VII: To Save the Soul of America, January 1961–August 1962, edited by Clayborne Carson and Tenisha Hart Armstrong of Stanford, marked the half-way point of this long-term research and publication venture of 14 volumes of The Papers of Martin Luther King, Jr. which is conducted in association with the King Estate, Stanford University, and the University of California Press. 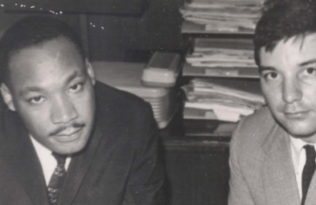 The Papers of Martin Luther King, Jr. is part of UC Press’s strong list in African American history. Other titles that may be of interest include Black against Empire (which won the 2014 American Book Association award), The Black Revolution on Campus (winner of the Wesley-Logan Prize in African Diaspora History from the American Historical Association), The Next American Revolution (advice for the 21st century from civil rights activist Grace Lee Boggs, who turns 100 this year), and Climbin’ Jacob’s Ladder: The Black Freedom Movement Writings of Jack O’Dell. 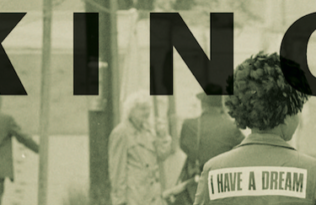 Please explore our African American History list and our Race and Class list. 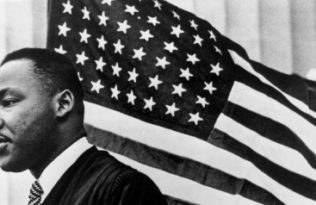 TAGS: civil rights, Clayborne Carson, Martin Luther King Day, MLK, race, Tenisha Hart Armstrong, The Papers of Martin Luther King Jr.